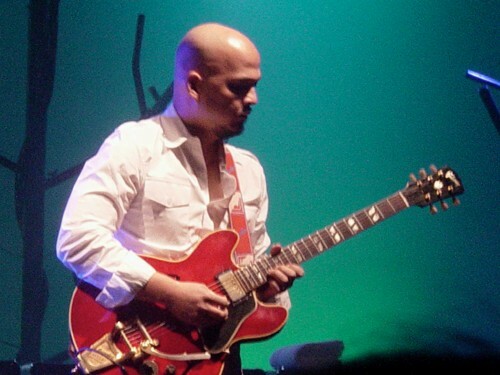 See the gallery for quotes by Joey Santiago. You can to use those 8 images of quotes as a desktop wallpapers. 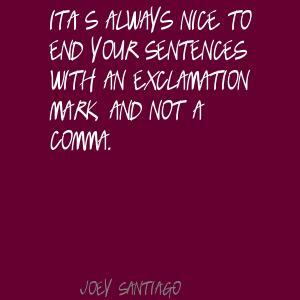 It's always nice to end your sentences with an exclamation mark, and not a comma. 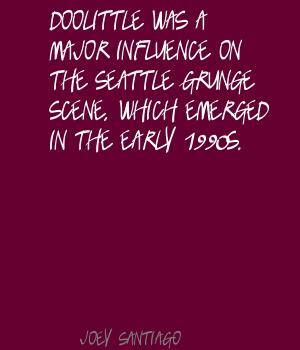 Doolittle was a major influence on the Seattle grunge scene, which emerged in the early 1990s. 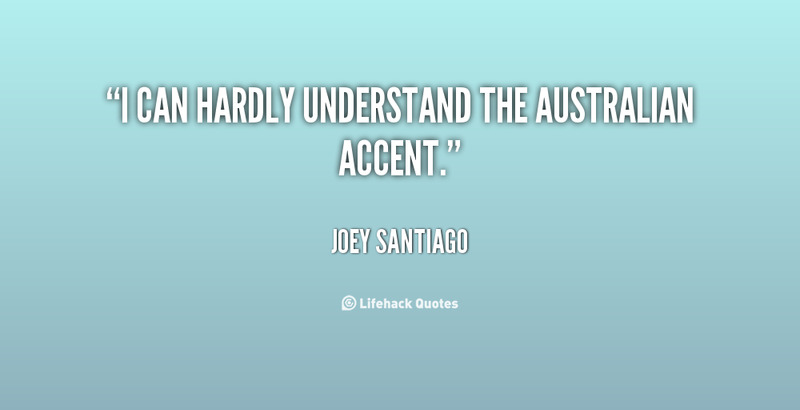 I can hardly understand the Australian accent. I don't like to go trampling on other people's sounds. That's really about it - I don't gravitate towards it, I try to move away from it. I have to say, I have an affinity for Bossanova. It's very warm-sounding to me - lush and simple. I like that. I screw up on the delay settings, so pretty much everything is manually done by me - I don't have those presets like the Edge has. I've just been reading about cycling. Yeah, I'm not that great at it but I like the challenge of it. It does just boil down to music. It's the best marriage of songs and production. But I have to say, I have an affinity for Bossanova. People do ask, 'Are you going to embellish this stuff?' 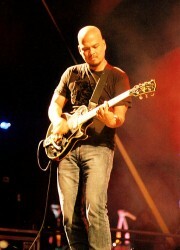 I wouldn't change any of my guitar parts. The song I like to do is 'Dead.' I'm constantly playing that one. Where I live, there's a lot of canyons. We're climbing constantly - we're like mountain goats. I'm just trying to get better at that. I'm not technical. 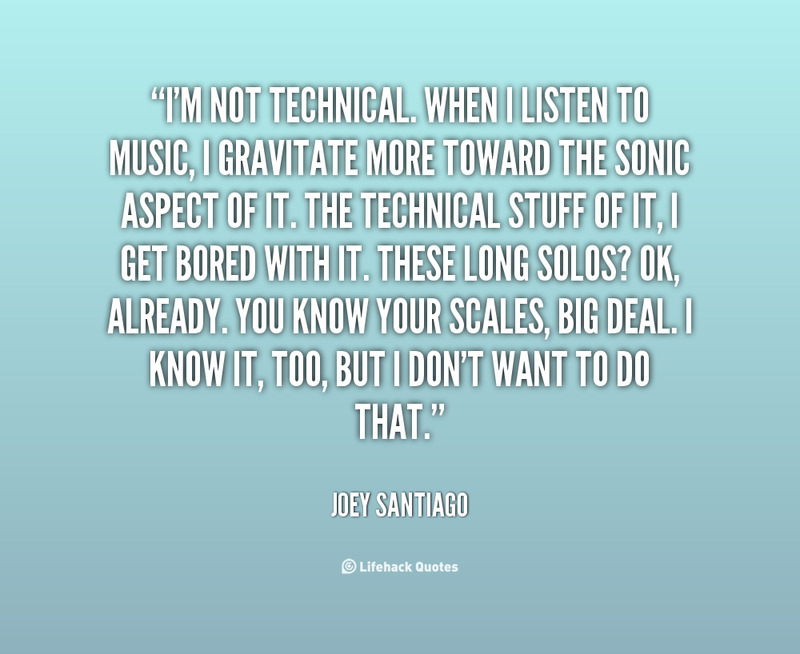 When I listen to music, I gravitate more toward the sonic aspect of it. The technical stuff of it, I get bored with it. 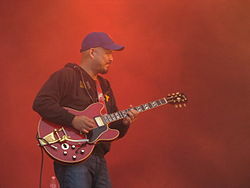 These long solos? OK, already. You know your scales, big deal. I know it, too, but I don't want to do that.